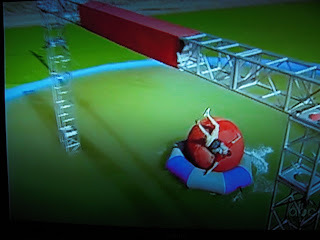 Thanks to all of you who tuned in tonight to watch me WIPEOUT last night. Unfortunately the editors took no mercy on me and much of my efforts were left on the cutting room floor, along with my pride and my chance at the $50,000 prize. Here are a few shots from when I was in the show, and a 4minute video/slide show for those of you die hard Tyler fans (my Mom). The good news is that although I didn’t win any money I did get a funky throat infection that helped me lose some weight. My now healthier and leaner body is worth $50,000 no question. The show is available to watch on ABC.com. 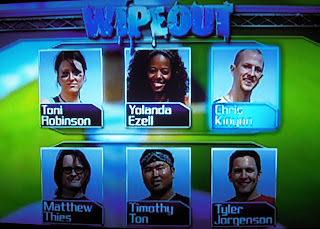 My episode is week 6, season 1. This entry was written by Tyler and posted on July 29, 2008 at 11:15 pm and filed under gameshow, random. Bookmark the permalink. Follow any comments here with the RSS feed for this post. Copyright © 2010 Tyler Jorgenson | Golf Club Reviews presents Curious ...a WordPress Theme by WebRevolutionary.